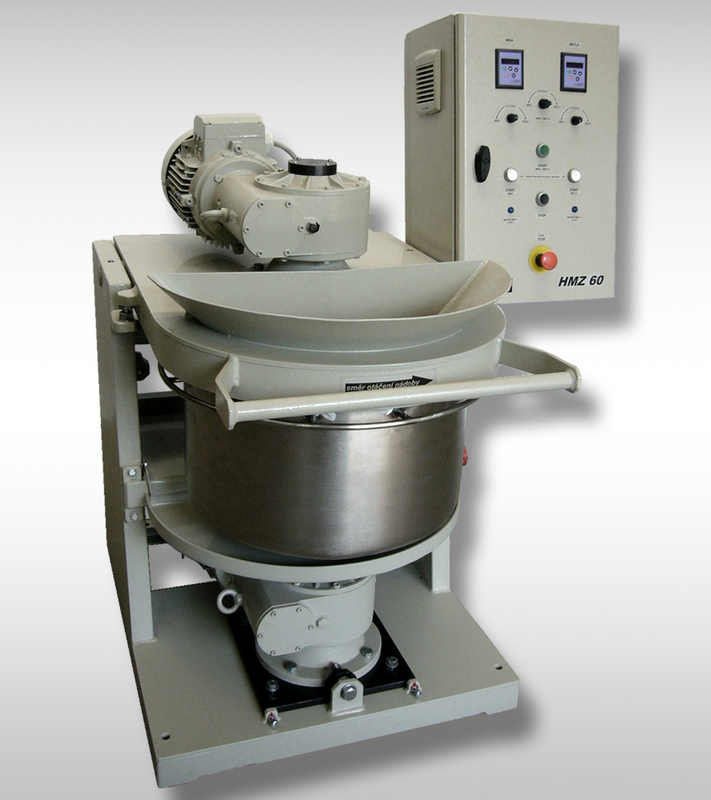 There are 2 designes of mixer - capacity 13 litres or 40 litres of mixture. Actual capacity is determined by consistency of mixture and its type. Mixer has separate driver for blade and mixing dru. Blade is positioned eccentrically. Service person can set the technological gap between the blade, bottom and sides of the drum. Electric control panel is located on the side of mixer or outsider. There is start – stop of individual drivers, central stop and main switch. Type HMZ – 20f and HMZ 60 f is complemented by frequency converter which controls rotations of blade and drum in a ratio 1 : 3. The separate frequency converter for blade and drum could be deliveredon request.